The use of Internet is a necessity nowadays, Through the internet people could gather information’s and details about the places they visit. It is also a great help for visitors for communication to their love ones. It is good to inform our readers that Taal Plaza including the Taal Municipal Office ( Casa Real ) is now a Free Wi-Fi zone. 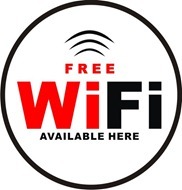 Visitors can use the free Wi-Fi to give updates about their visit in Taal. Smartphone and tablets can be used to connect to the free Wi-Fi provided by the municipality of Taal. Thanks to the initiative of Mayor Montenegro and Vice Mayor Pong Mercado for the great amenities that is provided to tourist as well as Taalenos. Tips While in the Free Wi-Fi Zone. 1. Visitors could send updates through twitter about their experience in Taal. 2. Visitors could give tips on the things that other visitors can do while in Taal through Foursquare. 3. Post pictures in instagram about the great places seen in Taal. 4. Make your blog post about their wonderful experience in Taal. 5. Update their Facebook. and more. Those are just some of the things that a user could make while in the Free Wi-Fi Zone Area. It’s more fun in Taal. I would like to commend Mayor MOntenegro as well as VM Mercado for coming up with this great idea of providing free wifi not only for the foreign and local tourists but also for the local residents of Taal, Batangas. This will surely promote not only the beauty of Taal but tourists will also have the chance to buy products (Jack-kinife and barong) and have a taste of Tapa and longganisang Taal. again kudos to Mayor MOntenegro and VM Mercado. – Boy Diwa od Bgy Cultihan.